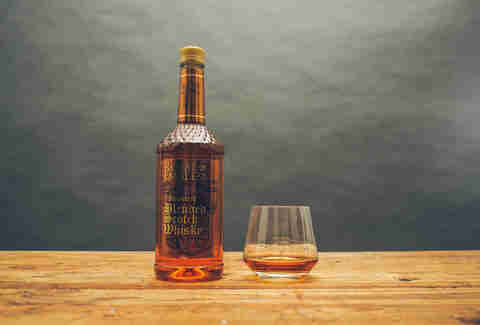 Whether you're under the constraints of a collegiate budget or simply aren't well-versed in the world of whiskey, the bottom shelf bottle will inevitably be, at some point, a part of your drinking career. 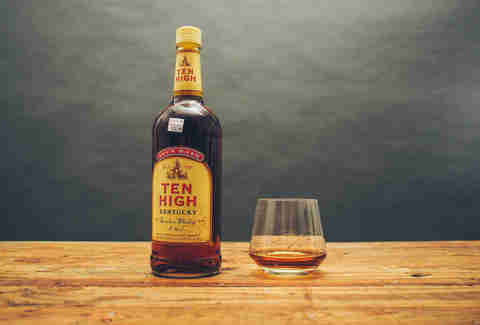 That being said, when you're pouring a glass of $10 booze, you may not particularly care how it tastes. So, because we get paid actual U.S. currency to do awesome stuff, we bought 10 bottles of bottom shelf whiskey and tasted them at 11:30 in the morning. Well, this definitely tastes like it costs $11. Notes of melted plastic despite its glass bottle. However, there are definitely worse bottles out there. This is actually delicious. It’s definitely very rough—it burns going down—but it hurts so good. I'd drink this over ice or maybe mixed with something to dull some of its tooth. I feel like a private eye would drink this stuff and then throw it in the fire in the heat of the moment. Well done, Billy Idol. Subtle, but it lets you know it’s actually there. And unlike an actual rebel yell, this is contained and mild. One of the best for sure. Not the worst, it goes down fairly smooth with a kind of strong aftertaste. It makes you feel warm. It might be the kind of bottle you ask someone outside the liquor store to buy you, but for almost two liters of booze at $18.99, it's one hell of a deal, boosting the grade up. 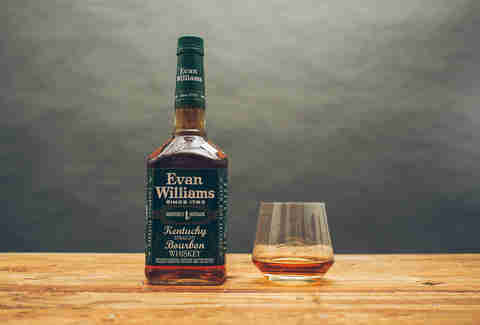 Some people consider Evan Williams a knockoff of another famous American whiskey, but they're wrong. Dead wrong. It's a triumph. It's majestic. Bold and milky almost? There's a kind of additional flavor that almost tastes like dessert. I really like this. 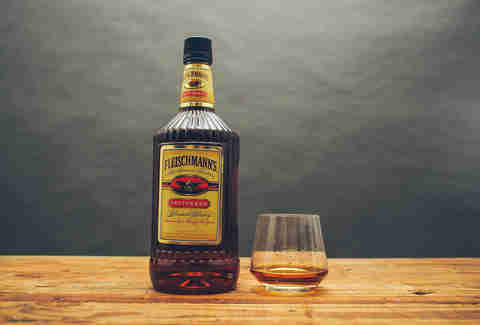 The alluring bottle draws you in, its price point keeps your attention, and the taste keeps you hooked. One can’t help but be surprised when they encounter a bottle of booze this cheap that doesn’t taste like aftershave and make you go blind after. 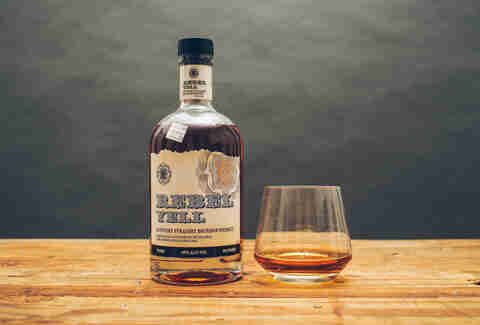 These guys start by raising the rye content by 62% and blending it with wheat and corn, leaving a robust oak burn in your mouth. This one actually looks pretty good from the outside. Normally, you can tell the quality of the alcohol by how much writing is on the label. It looks like the chart you see at the doctor’s office. It doesn’t have that horrible aftertaste that most cheap scotches have. The grade may reflect the fact that I don't love scotch. It's hard to say six whiskeys in. I can fully admit that I know a lot of people who don’t care for Ballantine’s. As far as blended whiskies go, this stuff is the Pall Mall cigarettes of scotch -- the stuff your mean grandpa used to swig before he’d make you go outside and make you cut him a switch. Who, though? The stuff goes down like water and makes you feel like a private eye with a totally manageable drinking problem. It’s good! 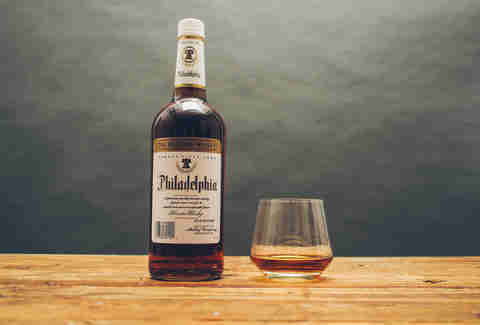 I would actually drink this on the rocks in front of a roaring fire while splayed out across a bearskin rug. It has a nice, sweet taste and I'm surprised it's actually under $20. This is like a scotch you put in a decanter, so you can’t see the label. It’s something you'd give the guy who’s trying to seduce your wife. Frankly, it is a steal that this stuff goes for so cheap. 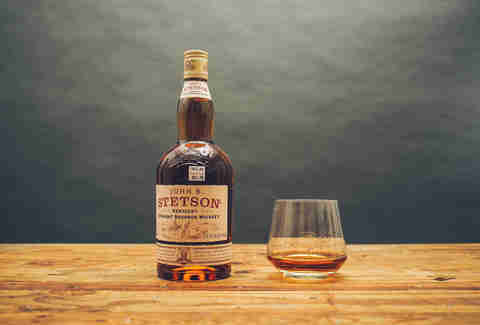 With a collection of scotch ranging from $25 to $300+ range, this single malt comes from a dependable distillery who knows what they’re doing. You’re going to taste a heck of a lot of vanilla with this bottle, mixed with a fruity -- almost Christmas cake -- spice, along with a long oak finish. 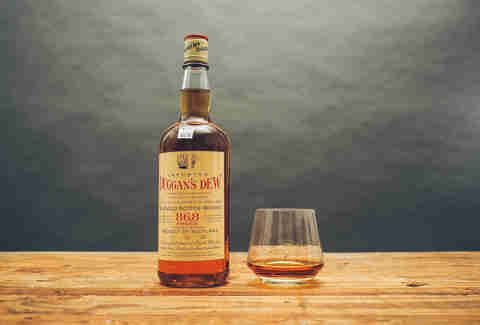 It’s the kind of stuff you can sip by the fireplace. You know, Old Crow has this reputation for being a whiskey that addicts and poor kids drink, but I've always liked it. And you know who else liked it? President, General, and Preserver of the Union Ulysses S. Grant. That's right, the man who won the Civil War. It's harsh, sure, but so are winters that put hair on your chest and give you wisdom. 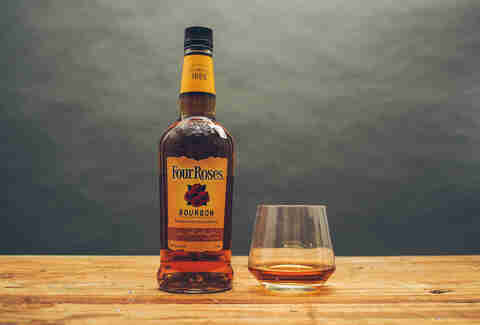 Besides wisdom, there's also flavor, and you feel like an old-time bandit when you drink it. I wish I was drinking it out of an enamel mug with a warrant out for my arrest. It’s not bad, actually. 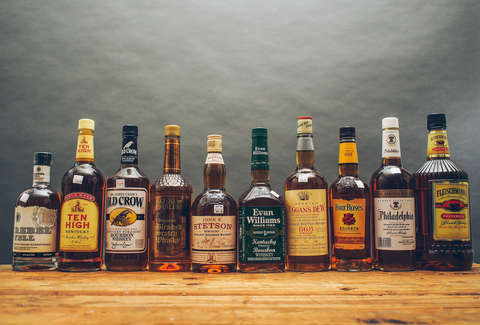 I mean, it's not my cup of tea, but for the cheap price, you've got a whiskey that can fuel a party—just as long as you've got a killer mixer. Not my cup of tea, but not my cup of poison either. Jeremy Glass pretended to like those white gold earrings he got for Hanukkah, because he's such a good friend.